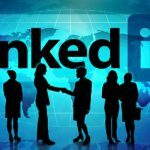 Question Proposed on LinkedIn: Are you using LinkedIn as an online Resume or a way to network and connect with other professionals for a mutually beneficial relationship? – Yes, yes, and yes. It’s a resume. It’s a networking tool. It’s a connection maker. With that being said, just because they are on LinkedIn, doesn’t mean they want to network. I know, crazy huh? Sometimes, we just have to perfect our pitch so they just feel “compelled” to respond. – My experience is if you approach people properly many are willing to meet with you. It’s all about how you present yourself! I met with a Gentleman today I had never met before and he shared that he had reread the communication between us and there was not one thing that did not want to meet with me. In fact, he thanked me for my time and invited me back. He told me it was an honor to meet me. He told me he admired my approach and that I he liked how I presented myself – maybe it was the new hair cut? LOL No. I find if you approach people properly they will respond positively. I will never forget a President of a Company responded to my LI message with. After such an eloquent request Dennis, how could I or anyone say no. – I second the yes, yes and yes on how I use LinkedIn. It is my contact database, my world view into all of the roles and titles I sell to, it is buyer persona information at my fingertips. Because of LinkedIn I was able to reach out to Meg Whitman and received a response, I agree our message needs to be compelling, but it doesn’t always have to be selling, what I did was congratulate her n her MSNBC appearance when she was talking about win loss- I was able to reach out to Michael Dell, we had a whole weekend of correspondence, it was quite mind blowing, he is now a connection. These are two very extreme examples, my point is I feel it should be used for everything, but remember treat people the same as if you were sitting in the room with them or on a phone, know something about them, their business, etc. LinkedIn is a wealth of information as long as people are willing to do the work to get it. – Yeah Crazy. Not sure why someone would go to the trouble of sending a connection request and then get upset at the connection when that person sends an email simply stating to have a great 4th of July and ask to be “taken off the list”. I work at not making a pitch in the groups or posts or email and wait until I’m face to face. Even then, I don’t sell anything. I facilitate a buying process and make sure the other person is completely sure that we are a good fit to work together and that I fully understand their goal and that I can help them reach it. – Yes on all. I agree with you Nancy. I think its about just being genuine and honest and treating people with the utmost respect. LinkedIn is a great tool and offers a great way to connect and engage with people and should be utilized with professionalism. – Richard, if had you interacted with them online more than once before or after the connection, they’re more likely to accept your invitations. Many linkedin members have thousands of connections, and they have no impressions at all on most of those connections. – Richard, thanks for the great post! I also am amazed at how many people on LinkedIn do not want to engage. As far as I am concerned, having a large number of connections and not engaging is the same as collecting a ton of business cards at networking events, and then doing nothing with them. A few years later, your collection of cards is doing you no good. – Finding out what your connections does and keeping up with them is a job in it self .I like all that was said in this thread and in finance everything is about honesty knowing the bottom line and the big picture is what makes the difference in most situations. – I think that part of the problem is that not all LinkedIn users utilize LinkedIn on a daily basis. It is something that they check from time to time without a desire to advance connections to the next level. I encouraged to hear you mention the positive reactions as well and hopefully the negative reactions will be am opportunity to gather information for future interactions as well as provide a good learning ground to develop responses to negative feedback. – It’s imperative to utilize any and all social networking platforms to optimize your career search. Networking, posting your resume, searching jobs…all of it. All the competition is doing these things and you must invest the time to organize your schedule accordingly so that you are maximizing your job hunt with a successful strategy. Use it and use it properly.